This coming November the quadrennial World Radiocommunication Conference (WRC-19) will take place, in the relative warmth of Sharm El Sheikh, on Egypt’s Red Sea, according to a post at Advanced TV by journalist Chris Forrester. But ahead of the 4-week confab, the European Space Agency (ESA) and International Telecommunication Union (ITU) have issued similar messages to the satellite sector to start thinking about sharing their space spectrum with terrestrial telco players. The message echoes the efforts already being made in the U.S., where an association of four key satellite operators are looking to free up — for a price — some of the C-band assets for use by the 5G sector. Magali Vaissiere, ESA’s director of telecom and integrated applications, for example, told delegates at the recent Business Bridge Europe conference that sharing — of spectrum — is now the priority. She added that there was no point in the two rivals — terrestrial and satellite — fighting one another, and that cooperation and compromise were better solutions. Alexandre Vallet, chief of the ITU Radiocommunication Bureau’s space services department, struck a similar theme, according to Space Intel Report. He told delegates that even though the satellite sector played an important and active role at the ITU, the financial numbers showed that the satellite operators themselves were a “tiny” part of the whole ecosystem which was worth some $390 billion in annual revenues, but the downstream operators and businesses were responsible for some $370 billion of that sum. “In fact, the satellite operators are a very tiny part of the satellite community,” said Vallet. 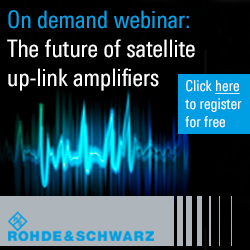 However, while the above comments might be wholly focused on C-band, other parts of Europe — notably the European Union – is staying firm and saying that the 28 GHz band must be protected and used exclusively by the satellite sector. Reportedly, the EU is preparing a Europe-wide and binding position on 28 GHz for the WRC meetings.